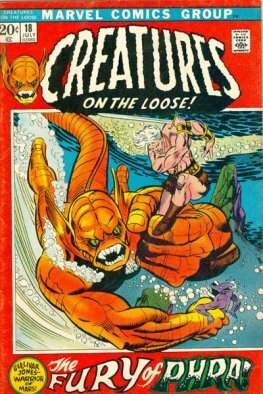 Retitled Creatures on the Loose with issue #10 (March 1971), this version led off with a seven-page King Kull story by Thomas and artist Bernie Wrightson. The book then became all-reprint until issue #16 (March 1972), when writer Thomas and the art team of Gil Kane and Bill Everett introduced the series "Gullivar Jones, Warrior of Mars", starring an interplanetary Earthman created by author Edwin L. Arnold in his 1905 book Lieut. Gullivar Jones: His Vacation. Following another issue by Thomas and one by Gerry Conway, science fiction novelist George Alec Effinger wrote the final three installments. Effinger continued as writer for the series that immediately followed, in issue #22 (March 1973): "Thongor! Warrior of Lost Lemuria! ", adapting a sword-and-sorcery barbarian character created by author Lin Carter. Following writers Tony Isabella and Gardner Fox, Carter himself co-wrote (with Steve Gerber) the final two installments. 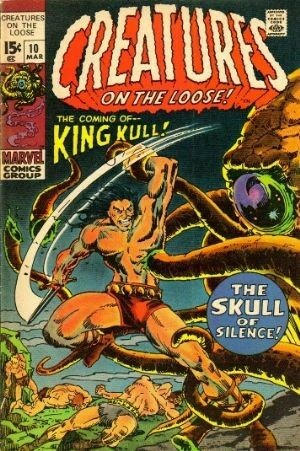 Thomas, Marvel's associate editor at the time, recalled in 2007 that Thongor had been the company's first choice when Marvel decided to published a licensed fantasy character, rather than the eventual hit Conan the Barbarian. Publisher Martin Goodman "authorized us to go after a character. I first went after Lin Carter's Thongor, who was a quasi-Conan with elements of John Carter of Mars, partly became editor-in-chief Stan Lee liked that name the most ... I soon got stalled by Lin Carter's agent on Thongor (he was hoping I'd offer more than the $150 per issue I was authorized to offer), and I got a sudden impulse to go after Conan". 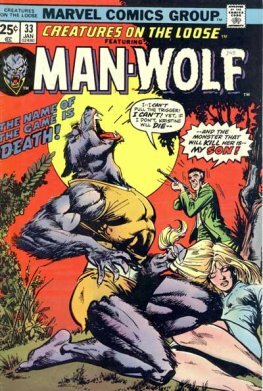 The title's last series, "Man-Wolf," starring John Jameson, the werewolf son of Spider-Man supporting character J. Jonah Jameson, ran from issue #30-37 (July 1974 - Sept. 1975).Its writers were Doug Moench, Isabella, and David Anthony Kraft, with art by pencilers George Tuska and George Pérez. The series depicted Jameson as a god to an alien race and introduced Lunatik.